Promote Your Halloween Sale With An Awesome Poster Design. Get Started With Venngage's Own Halloween Sale Poster Template! Are you offering customers a treat this Halloween? Promote your company’s sale with this spooky Halloween Sale Poster! People will flock to your store as if they’re under a spell when they see the Halloween Sale Poster template. 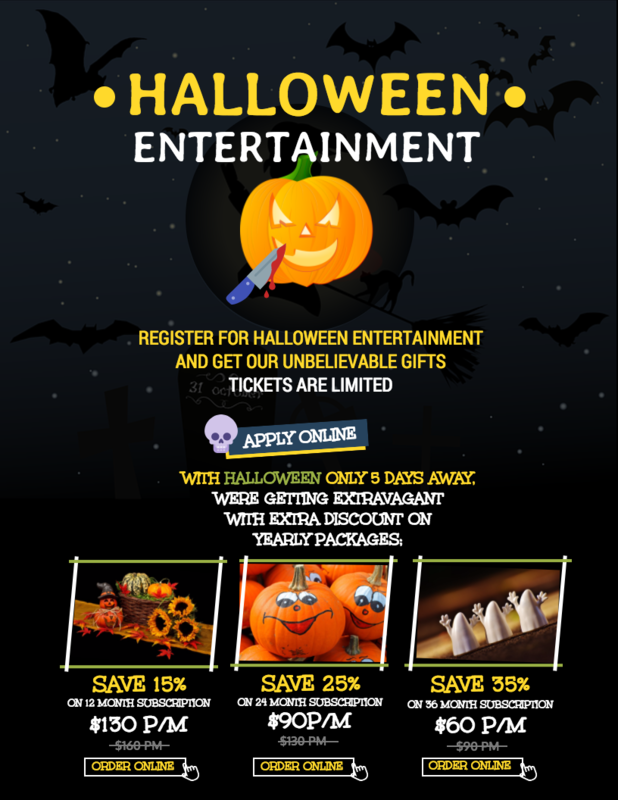 Enchant your customers with our customizable Halloween Sale Poster template and they won’t be able to resist your sale. The poster features a dark starry background with bats flying and a pumpkin with a bloody knife. You can edit the Halloween Sale Poster with all the details about your store event including special sale items, percentage off, coupon or promo codes, and your store info. Customize the Halloween Sale Poster and give your customers a trick or treat!